All products are delivered within the United Kingdom mainland and to Sweden. Delivery for orders of £25 or more is free of charge to UK. For orders below £25, a handling fee of £3.90 will be charged. Orders to Sweden a handling fee of SEK 100 will be charged. We offer payment per credit card and through PayPal as payment options. To order and pay by cash on delivery is not possible. 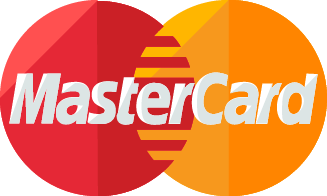 We support Mastercard or Visa credit cards. Your credit card will only be charged when the order is sent out to you, and the order will be preauthorized for the final amount. If the goods are returned, the goods will be accessed according to our returns conditions and the corresponding value of the goods will be credited back to your bank account after receipt of the shipment in accordance with our returns conditions. If you pay by credit card, please make sure the order address matches your correct billing address. Do you have a PayPal account? If you do, you then have the option of paying through PayPal. If you do not yet have a PayPal account and would like to use this method of payment, you can register via www.paypal.com.